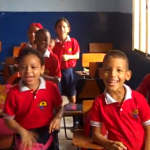 Second Grade students at the Social Foundation of the Covenant in the Atlantic Region (FUSPA) school of the Covenant Church in Barranquilla, Colombia sing a little song. 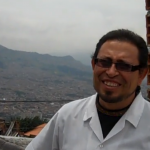 Watch this special thank you from the Integral Education Center of the Covenant (CEIP) school in Medellin, Colombia and hear how some of the funds were used to help this important ministry. Boys who live at the Casa de Paz receive loving care in a residential environment. 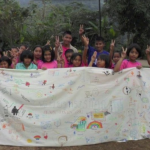 Covenant Kids funds support the on-going ministry of Casa de Paz (Peace House).